Since the Efremov Institute foundation, thousands of magnetooptical units have been designed, produced and supplied to numerous domestic and international customers. 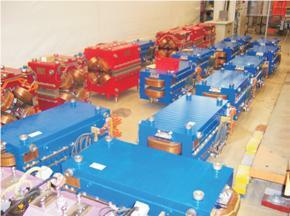 Among those units there are single experimental electromagnets and serial electromagnets for particle accelerators. 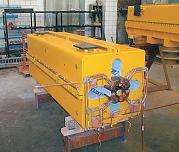 In the period from 1993 to 1995 Efremov Institute designed and produced for DESY 240-tonne electromagnet for spectrometer (HERMES experiment). 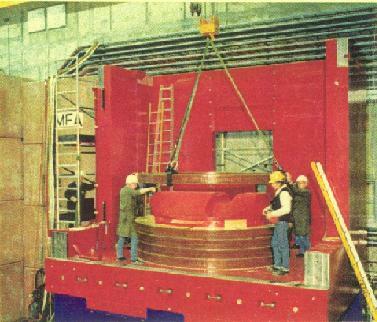 In the next two years from 1994 to 1996 Efremov Institute designed and produced for DESY 630-tonne electromagnet for spectrometer (HERA-B experiment). Electromagnets “HERMES” (left) and “HERA-B” (right). 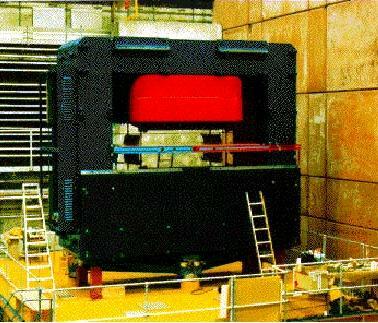 In the period from 1998 to 2000 Efremov Institute in collaboration with DESY calculated, constructed and produced 52 quadropole electromagnets of six types with 1,8-4 m length for modernization of proton-electron storage ring HERA in order to enhance proton-electron beams luminosity. In 2001- 2002 for experimental unit ТЕSLА (DESY) have been developed and produced 79 quadropole electromagnets of four types, 11 sextupole electromagnets of two types, 3 dipole electromagnets and 80 correction electromagnets of three types. In 2004- 2006 for accelerator project РЕТRA-III, (DESY) have been developed serial electromagnets consisted of a dipole, two quadropoles and four correction electromagnets. There have been produced and tested prototype models of the electromagnets which magnetic characteristics are in full compliance with the requirements. 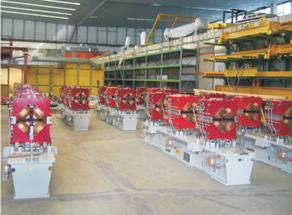 In 2007- 2008 on the basis of the project РЕТRA-III there have been made and supplied to DESY the whole assembly of electromagnetic equipment consisted of 20 dipoles, 94 quadropoles, 110 sets of coils with 6 m length for dipoles, 170 magnetic circuits (conductors) for sextupole magnets and 180 correction electromagnets of six types. 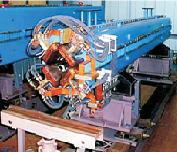 The equipment is operating in РЕТRA-III complex that was put into operation in November 2009. At the moment in collaboration with DESY electromagnets are being developed and produced both in relation to already fulfilled projects (PETRA-III unit, for example), and for the new projects (XFEL – X-ray free electron laser).